Henrietta Frances Martin(c) Bledsoe, of Napa, CA, born on September 11, 1928 in Oglesby, Illinois, went to her eternal home on March 7, 2019 at the age of 90. God’s grace provided her time in these last few months for laughter, closeness, and prayer with many family and friends. She was preceded in death by her husband Paul Bledsoe Jr., her Slovenian immigrant parents Anton Martinc and Frances Rebernik Martinc, five brothers and four sisters. Henrietta was raised on a farm in Wisconsin and in 1946, at the age of 18 moved with her parents to Fontana, CA. She married Paul Bledsoe in 1948 at St Joseph’s Catholic Church in Fontana, CA. They leave behind the beautiful legacy of her six children, John Bledsoe (Rose), Woodland, CA; Kathleen Stewart, Napa, CA; Paulette Eytchison (Dan), Lodi, CA; Jan Himsworth (Dan), Cambria, CA; Joan Bledsoe, Las Vegas, NV; Andrew Bledsoe (Mary Mammet), Napa, CA; along with fifteen grandchildren and twenty-one great grandchildren. She is also survived by three sisters-in-law and numerous nieces and nephews. While raising her children in Fontana, Henrietta was active in their school parish at St. Josephs’s and her community. She was a Girl Scout, and a Boy Scout Leader, Member of the Woman’s Guild and PTA and Catholic Daughters of America. She received her Early Childhood Education and Development credentials in 1968 from the University of California, Riverside and was employed with the Fontana Unified School District’s Head Start Program and teacher’s aide and later worked for the San Bernardino County Public Health Department from where she retired. She and her husband moved to Napa in 1993 to be closer to their children. Henrietta loved life and embraced her new community, making many new friends and becoming involved in many groups and activities. She was known as both "Yetta" and “Henri” to friends and was an, independent, energetic woman with wit and wisdom. Her Catholic faith and her family were her priority. Henrietta was an involved member of St. Apollinaris Catholic Church, an avid crossword puzzle enthusiast, member of a senior bowling league; loved bocce ball, bingo and card nights with friends, attended a rosary and bible study group, and volunteered in many capacities, serving at The Table, listening to young children read at school, and involved with the Napa Valley Fun Club. 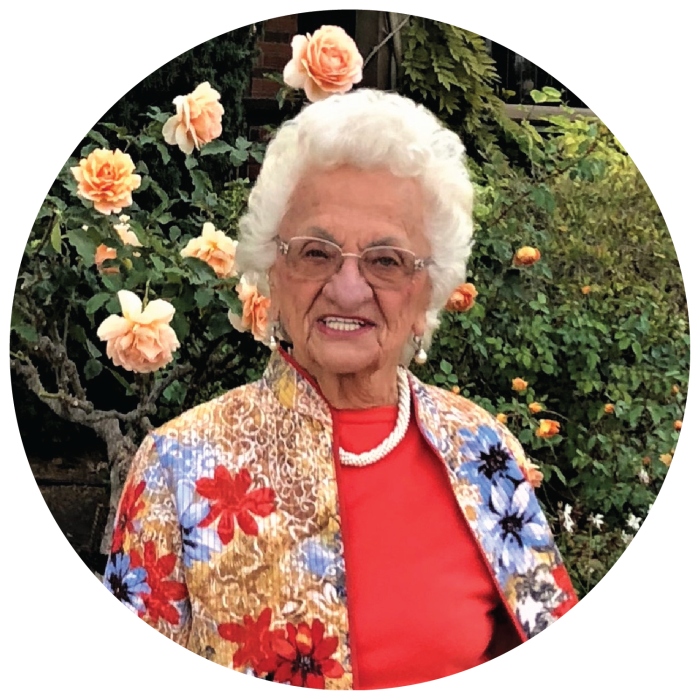 She was a long-time member of KSKJ Slovenian Women's Guild #100, St. Apollinaris Spirited Singles, St. Apollinaris Woman’s Guild, and YLI (Young Ladies Institute #26 Napa). Henrietta has had many friends in her lifetime. She was a dedicated wife, mother and grandma who loved family get togethers and instilled in her children a strong sense of faith and values, a love of learning and the importance of our heritage and traditions. Yetta kept tirelessly involved with life. We will miss her very much and we thank her for her strong faith that God will carry us through life. She has been a blessing to all of us. You are invited to attend services to honor her life. A Funeral Mass will be held on Friday, April 5 at 11:00am at St. Apollinaris Catholic Church, 3700 Lassen St., Napa. A reception will follow at Tulocay Cemetery and Funeral Home, 411 Coombsville Rd., Napa from 1:00pm – 4:00pm in the Tulocay Reception Hall. In lieu of flowers, donations on her behalf can be made to Collabria Hospice, 414 Jefferson Street, Napa, CA 94559 or St. Apollinaris Catholic School Tuition Assistance Fund, 7300 Lassen Street, Napa, CA 94558 - Memory of Henrietta Bledsoe.